Anybody who knows me is aware that I love my car. It's not an impressive car of anyting -- it's not an Audi RS5, a Porsche Cayman, or a Tesla. In fact, it's eleven years old -- I bought it in November 2003. It's a glorified thin-person's Honda Accord, but I love it. But it hasn't always looked so nice: I maintained it meticulously for the first few years, but eight years on, it was really showing its age: All that time, I had to park it outside, and the net effect was that the outside got dulled (due to the icy winter) and oxidized (due to the blazing summer). Its cherry gloss red dulled to a milky matte red; the wheels got a fair share of scrapes; the headlights fogged. By 2011, I was looking for something new, and had a good shot at convincing my wife to let me get something a bit pricier. I fell into a pattern of falling in love with a car based upon pictures and reviews, and spending endless cycles building and re-building the car online. Ultimately, I'd go see the car in person, and for one reason or another, I'd find myself happy to get back into my own car. Some were too loud (Cayman), some felt a bit heavy (S6 and 6-Series), some simply left me flat (Jaguar XK, Mercedes SL), and some weren't compellingly different from what I currently drive (Lexus IS350, Infiniti Q50 and Audi S4). Acura is the bling version of Honda, much like Kraft Macaroni and Cheese Deluxe is the bling version of Kraft Macaroni and Cheese: Technically, yes, it's better, but you're still not impressing anybody. 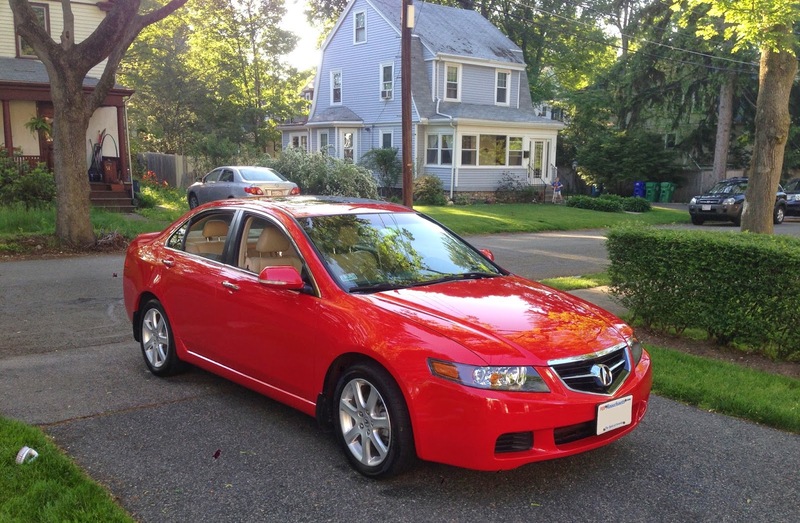 The TSX is the sports version of the Honda Accord sold in Europe. Honda sells a different model as the Accord in the United States, because Americans are fat. This is true. It sports a naturally-aspirated (i.e., non-turbo) four cylinder, with 200 horsepower and 168ft/lbs of torque. To those who don't already know, these numbers compare quite favorably to many mopeds. Around then, I happened to see my mechanic (a wonderful guy) and I asked him how much life was left in my TSX. "This car here? ", he said. "This car is not even halfway through it's life yet. You could drive this over 250,000 miles." All worn pieces on the inside replaced. What's more, I cleaned out my garage and hardly ever leave it outside (especially not in the winter). The result: I'm ecstatic. I preen over it constantly -- washing, waxing, polishing. As a result, it looks and runs great, and I still get compliments (including this past weekend from a valet). All told, I've probably put $12,000 into it so far. I know it's a waste of money, but on the bright side, it's much less of a waste than the depreciation of a new car! Or, at least, that's what I keep telling myself. Okay, time to dive into my mailbag, and answer questions people have sent me about my car! Let's see what's on peoples's minds, shall we? 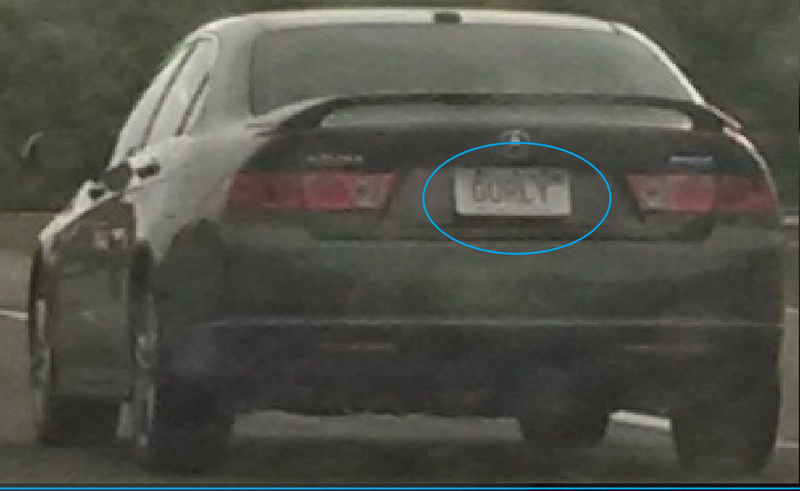 Q: Isn't the TSX more of a girl's car? Q: The only way that car would break 100mph, is if you dropped it out of an airplane. A: That's not even a question. Hm, I guess there aren't a lot of questions. Okay, that's all for now! After I wrote this, my friend Rachel took this picture and sent it to me. She can go jump in a lake. How Can Someone So Smart Do Something So Stupid?